Josh puts gas in his car with his dog, Driver.. . HD Wallpaper and background images in the josh hutcherson club tagged: josh hutcherson photo. 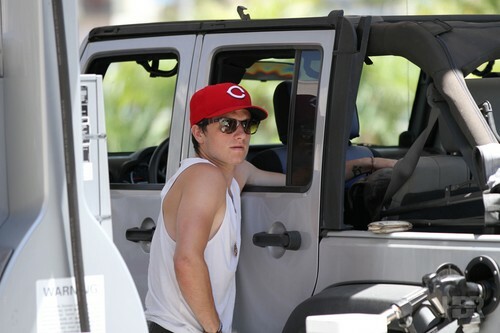 This josh hutcherson photo might contain mobil, auto, suv, and truk.